My garden needs a make-over. Not the kind that focuses on cosmetics. The kind that focuses on fertility, productivity, and magic. What is magic? Beliefs and ideas manifested into physical form with the use of spiritual tools such as meditation, ritual, ceremony, songs, altars, and others. I believe magic helps make a successful garden. And gardens help make magic more successful. My garden design is an amalgam of the previous homeowner and my garden wants and needs. I hesitated to take the garden “out” by removing all the plants and making a new space. The garden was circled with stones (more like a square actually). I suspect they were found in the yard or on travel journeys. It felt wrong to move it all. Someone’s hard work and love up-rooted. Slowly I made changes after which I would waited to test the shift of energy. All felt well so over time I moved more plants, let other plants take over, and added in garden beds. I observed and felt the spirit of the garden’s past. I could see it. This garden was a bit like the story “The Secret Garden”. Tulips, white phlox, and other flowers popped up out of the ground that weren’t there the previous years. 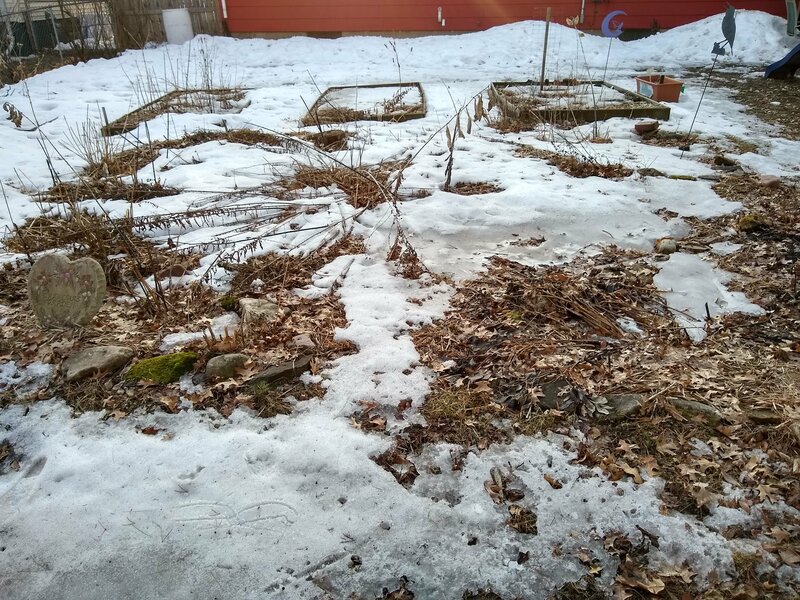 Also, plants native to this area, lying in dormancy, came out once more such as jack-in-the-pulpit, hepatica, gooseberry, red elderberry, and others. The previous gardeners didn’t maintain the space in the same way they started out. That was evident as I uncovered stones borders where garden areas once flourished. Now it’s been several years at this house and I feel it’s time to put my full intention in the garden. 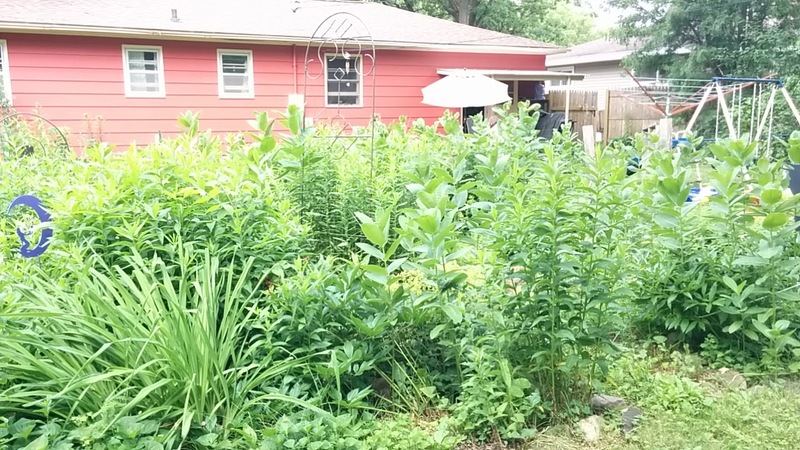 I honored the past garden work and now I’m ready to create a new space. I’ve kept and re-vitalized the plants here. My gardening needs and wants are changing. The soil needs more fertility. I need more space that has full sun. It’s time to re-evaluate and re-configure. Move those circles of stones and make new intentional garden spaces. 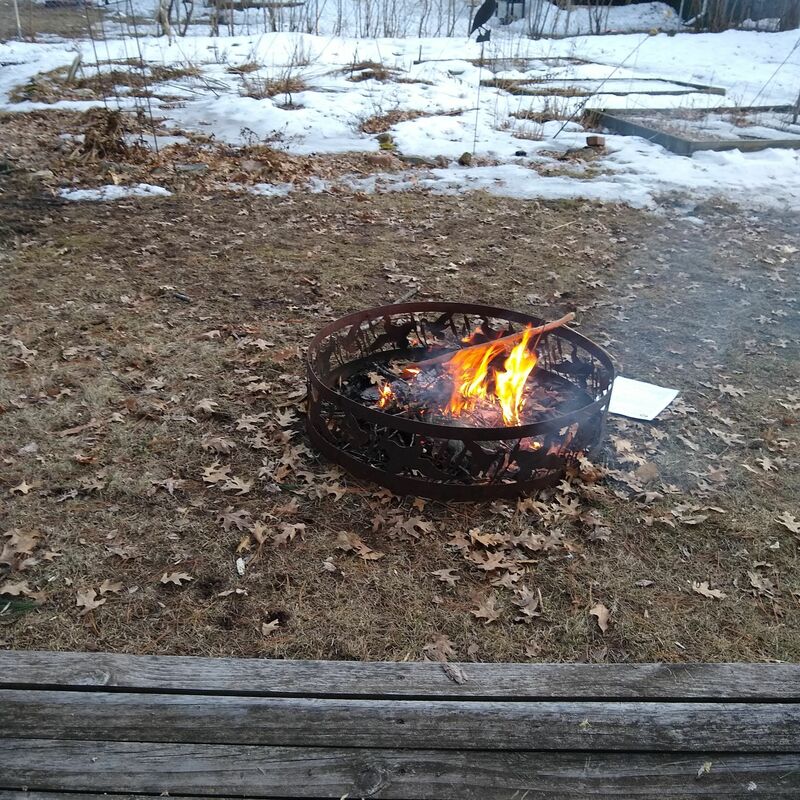 I started with this fire to “wake-up” the garden. As my kids gathered fallen sticks form the winter storms they asked, “What does a wake-up fire mean?”. I explained that I’m letting the land know spring is here, that I’m here thinking about it, winter is ebbing and I am back. I greeted the garden every time I went to the compost pile during the winter. Though, the land was slumbering so well. Fire destroys and revitalizes. It removes unwanted debris and sets way for new growth. I’m removing my hesitate energy to change someone else’s garden design – the magic they created. I’m making plans in my mind as the garden burns. I can’t get my hands in the frozen soil, but I can get the magic started. If you’re interested in learning more about adding spiritual connection to your garden; creating a garden with magical purposes; or understanding gardening more in-tune with natural rhythms, please join me for a free webinar “Green Witch Gardening: 3 tips for a successful garden”. Live video lesson via Zoom, April 11, 2019 at 7pm CST.